When Mitch Englander resigned his L.A. City Council seat last October, District 12 — which includes Chatsworth, North Hills, Northridge, Granada Hills, Porter Ranch, Reseda, Sherwood Forest and West Hills — was left with temporary representation (Greig Smith, his former chief of staff, stepped into the role). The primary election will be held June 4. If no candidate receives 50 percent plus one of the vote, a general election will be held August 13. Englander was the lone Republican on the 15-member council. Even though the body is officially nonpartisan, a win for a Democrat would signal a significant shift for the council which has had Republican representation for many decades. "This may well be a historic first if it happens," said Jaime Regalado, emeritus professor of political science at Cal State, L.A.
Regalado said the opposite has been true: before the mid to late 1950s, the city was politically conservative, and at times was controlled by an all Republican council. Englander's departure from the council is the second in the last few years. Former Councilmember Felipe Fuentes left abruptly in 2016. Both Fuentes and Englander left for job's in the private sector. Fuentes took a job as a lobbyist and Englander took a job as executive vice president for government affairs at Oak View, an entertainment and sports facilities company founded by AEG's former chief executive. Below is a roundup of the 15* people vying for the seat, listed in alphabetical order. LAist has confirmed each of their party affiliations. Other details regarding platforms, stances on issues and personal or professional life, were gathered from candidates' official websites and are publicly available. All but one candidate, Navraj Singh, have websites. Information about Singh was gathered from past coverage. SCOTT ABRAMS (Democrat) grew up in the West Valley and has served as the director of U.S. Congressman Brad Sherman's constituent service office for the past 17 years. He is endorsed by Councilman Paul Koretz and U.S. Congressmember Maxine Waters. Abrams is running on a platform to address housing prices and improve public transportation. CARLOS AMADOR (Democrat) is a Granada Hills resident and self-described "long-time human rights and civil rights advocate" who's been involved with advocating for DACA and the DREAM Act. He's a board member of the Granada Hills South Neighborhood Council, and the ACLU of Southern California. His platform includes improving public education and addressing workers' rights. JAY BEEBER (No Party Preference) is the executive director of Safer Streets L.A., an organization whose stated mission is the "adoption of scientifically sound and sensible transportation and traffic laws." Beeber has advocated for eliminating red light cameras. He is a resident of North Hills and the vice president and land use committee chair of the North Hills West Neighborhood Council. ANNIE CHO (Democrat) is a resident of Porter Ranch and an entrepreneur. Cho is the owner of a public relations firm, and works as a residential realtor in the San Fernando Valley. She previously served as a commissioner for the L.A. Board of Water and Power, and worked as the director of public relations for Channel 19 KSCI. Cho immigrated to the U.S. from Korea at the age of 11. JEFF DAAR (Democrat) is an attorney at Daar & Newman. Daar was a city commissioner in L.A. under three different mayors, and now serves as the Valley Industry and Commerce Association chair of international trade. He is a resident of Northridge. His platform includes increasing neighborhood patrols, better equipping first responders, reforming City Hall's approach to small businesses and reducing homelessness. CHARLES "SEAN" DINSE (No Party Preference) is a senior lead officer at the Los Angeles Police Department. Dinse is a resident of West Hills. Previously, he was a patrol officer, gang investigator and training officer. Dinse's platform includes decreasing crime and improving safety. FRANK FERRY (Republican) is a former teacher and administrator. He served on the Santa Clarita City Council for 16 years, and was the city's mayor for four years. His platform includes reducing corruption, giving law enforcement more leeway to deal with the belongings of homeless individuals and preventing environmental threats such as the Aliso Canyon gas leak. JACK KAYAJIAN (Democrat) is an administrator at City Attorney Mike Feuer's office. Previously, Kayajian worked as a Valley area representative for former L.A. Mayor Antonio Villaraigosa. His platform includes reducing overcrowding in classrooms, improving public safety officers' response times and supporting small businesses. JOHN LEE (Republican) was Englander's chief of staff prior to the councilmember's departure. Lee also served as chief legislative deputy for Greig Smith during his previous time as a council member, and as a field deputy for former Councilmember Joel Wachs. Lee is endorsed by sitting councilmembers Monica Rodriguez and Joe Buscaino. LORAINE LUNDQUIST (Democrat) is a physicist and activist who lives in Northridge. Lundquist holds a Ph.D. from UC Berkeley, and currently serves as a faculty associate at CSUN's Institute for Sustainability as well as a vice president of the Northridge East Neighborhood Council. Her platform includes tackling climate change and reducing homelessness. STELLA MALOYAN (Democrat) is an executive at the Los Angeles Alliance for a New Economy and a commissioner on the city's Tourism and Convention Board. Maloyan is a resident of Porter Ranch, having immigrated to the area from Iran at age 15. Her past work includes advocating for gender equity and equal pay, working to secure resources for the city's middle class and pushing City Hall to develop affordable housing. RAJI RAB (Democrat) has spent time as a pilot and flight instructor. Rab previously ran for U.S. Congress. His platform includes reducing student loans, eliminating homelessness and cleaning up Santa Susana nuclear contamination. BRANDON SAARIO (Republican) is an actor and lifelong resident of the San Fernando Valley. Saario ran for a state senate seat in 2018, losing to state Senator Bob Hertzberg. Saario's platform includes ending Los Angeles' status as a sanctuary city, improving public safety and reducing government waste and corruption. NAVRAJ SINGH is a small business owner who ran for the city council's District 12 seat once before, in 2011. Singh served in the Indian military, then became a restauranteur after immigrating to the U.S. at the age of 27. In addition to his bid for City Council, he previously ran for U.S. Congress. 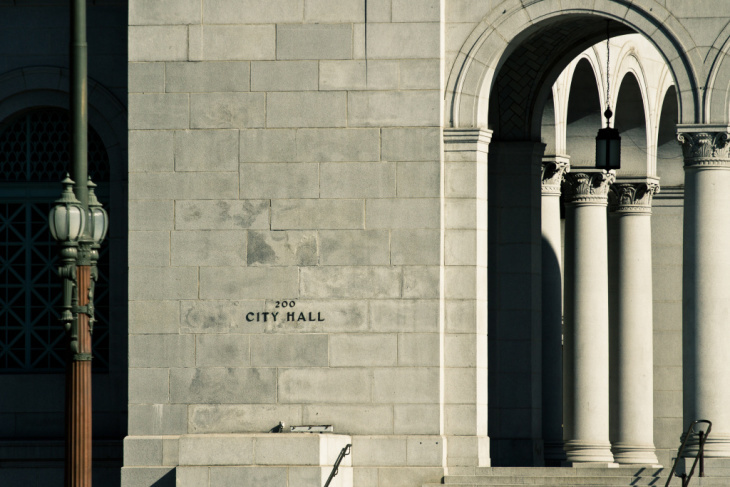 Singh declined to share his party when contacted by LAist citing the fact that the election is a nonpartisan competition. In 2016, he ran for the 30th Congressional District of California as a Republican. JOSH YEAGER (No Party Preference) is a resident of Chatsworth and member of the Chatsworth Neighborhood Council. Yeager serves as secretary for the council's Land Use Committee. His platform includes an emphasis on public safety and addressing homelessness. *SERENA OBERSTEIN (Democrat), who was previously listed by the city as an official candidate, has been removed from the Certified List of Candidates and will not appear on the ballot. A judge ruled last week that Oberstein — the former president of the Los Angeles City Ethics Commission and former COO for the national nonprofit Vision to Learn — was barred from running for the seat. Candidate Frank Ferry challenged her candidacy in court over a section of the City Charter that restricts, in certain situations, ethics commissioners from running for city office. In a statement, Ferry said, "As residents of Los Angeles, we should all applaud this decision because the court sided with the rule of law ... The decision brings transparency to government." Oberstein will not appeal the decision. In a statement, she said, "I asked the city whether I was eligible to run, and the city deemed me to be eligible. It's unfortunate that one Republican-appointed judge has made a decision that effectively deprives my community ... the right to make a decision that should be theirs." 10:28 a.m.: This article was updated to reflect that Jeffrey Daar's name is listed as Jeff Daar on the city's Certified List of Candidates. This article was originally published at 2:00 p.m. on Apr. 1, 2019.